The upper stage of a Russian Start-1 booster re-entered the atmosphere on September 3rd, 2017 – spending over a decade in orbit after dispatching the EROS A Earth-observation spacecraft in 2006. Start-1 is a four-stage, all-solid orbital launch vehicle based on Russia’s Topol missile, converted to launch satellite of up to 530 Kilograms into Low Earth Orbit. Weighing in at 240kg, EROS A is an Israeli imaging satellite under commercial operation by ImageSat International. 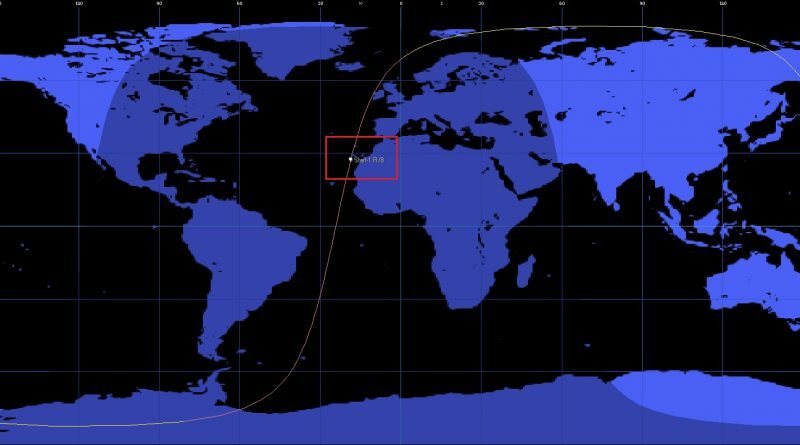 Re-Entry Prediction: September 3, 2017 – 01:54 UTC +/-2 Min.